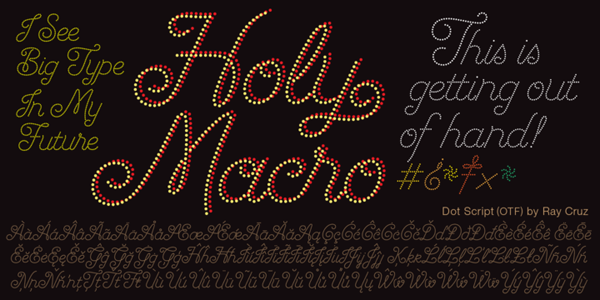 Dot Script, is a new script display typeface from Ray Cruz that is built with dots and resembling theatre bulbs on a Broadway marquee. 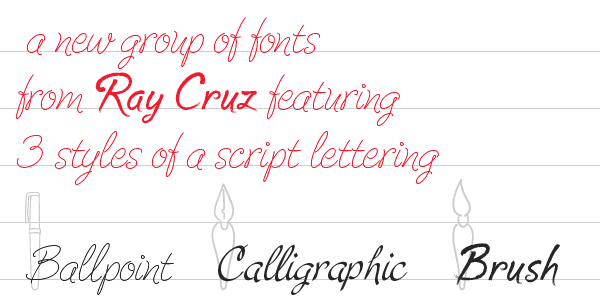 For use at large sizes, Dot Script is a smooth and elegant design that is great for titles, headlines, advertising, music, toy products and cosmetics with a youthful flavor. 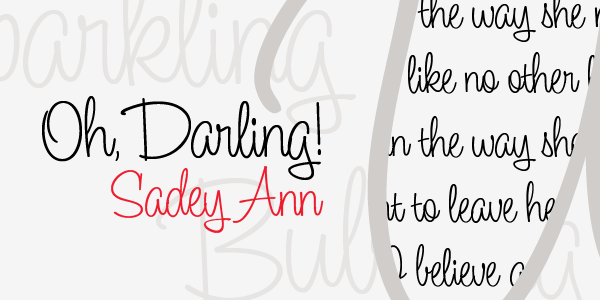 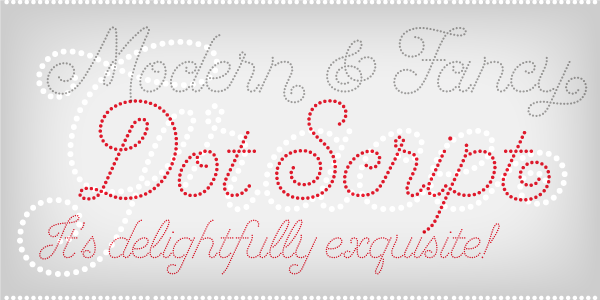 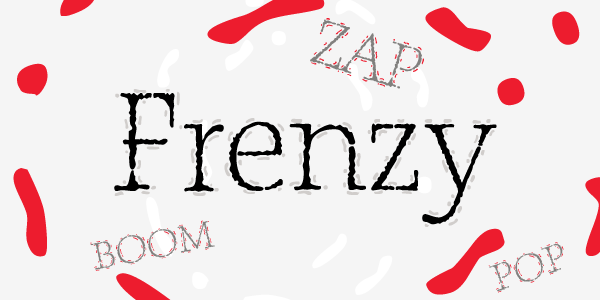 Dot Script is a full-featured OpenType font, containing over 490 glyphs. 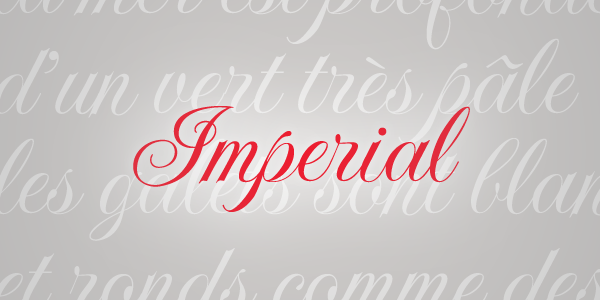 OpenType features include contextual and stylistic alternates, swash characters, ligatures and Central European characters.